There is a Design Team Reveal up on the Just Imagine Crafts/Kreaxions Punches Blog today. Be sure to stop by and check out what the rest of the Design Team has done this month. I created this layout for my grandson Elisha’s album. I use the Kreaxions Circle Cutter along with the Kreaxions 4 in 1 punch # 909 with the A insert. I will say that the Circle Cutter is one of my favorite tools … perfect circles every time! And I love the extra details that the punch adds to the circle. I have a challenge up for the Mini Crop at Turtle Soup. Be sure to check out the forum to see the rest of the September Mini Crop Challenges hosted by the Design Team. 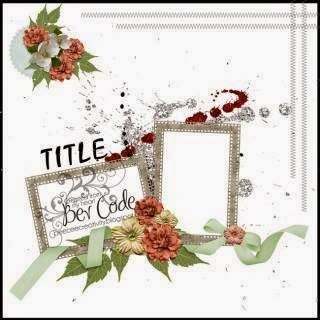 My challenge is to create a card, tag, ATC or layout that is school related. How easy is that?! First day of school for the FL grandson’s minus one who was sick L .
I love trying new techniques for my paper crafting projects. When I saw Linda Barutha blog with this video (Mixed Stitch Video #1) on it I new it was a new technique that I wanted to try. Love the results I got for this altered canvas bookmark. Today is the Design Team Sketch Reveal at Turtle Soup. This is the sketch provided by the very talented Bev Code. Be sure to check out the forum and see what the other design team members did with the sketch. I’m always amazed by how many different interpretations you can get from one sketch!